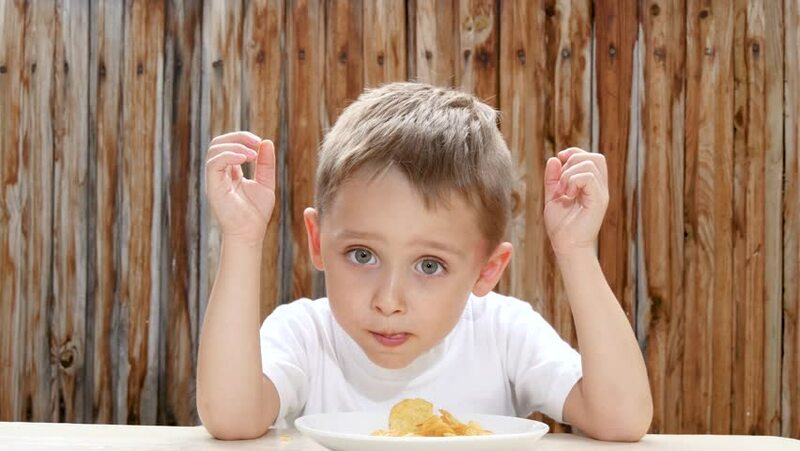 A child eats potato chips with pleasure against the background of a wooden wall. The boy is pleased with the food and shows a thumb up. 4k00:19Kid sits at the table on the background of a wooden wall and eats chips with pleasure. 4k00:15An impatient girl pushes the keyboard buttons. hd00:08Indoor portrait of Little baby girl.